Product prices and availability are accurate as of 2019-04-14 05:18:55 EDT and are subject to change. Any price and availability information displayed on http://www.amazon.com/ at the time of purchase will apply to the purchase of this product. 10 SEEDS Ships from Florida. Family: Areceae Use: The Bismark palm is prized as a landscape specimen, singly or in rows. 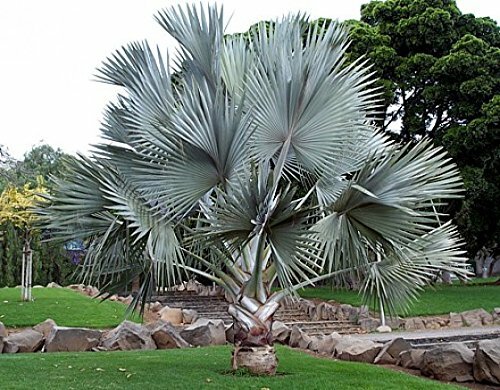 Its height can vary from 40 to 70 feet, and branched reach up to 15 feet across, with a crown of spiky fronds. Individual leaves may measure more than 36 inches in width. 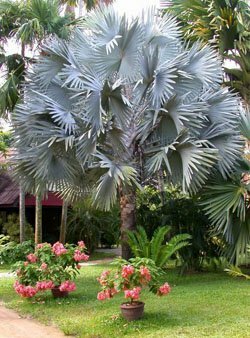 Cultivation: This palm thrives in both sun or part shade and likes sandy soil. It is drought tolerant and salt resistant. 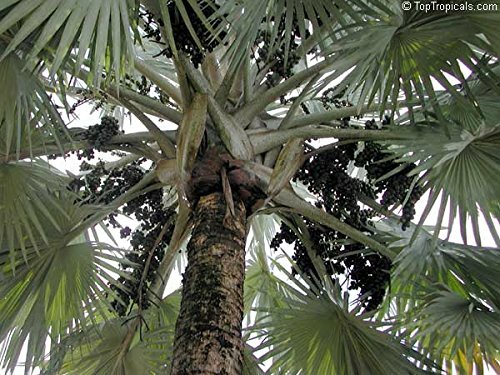 Once established, the Bismark palm does not need fertilizer, and this variety does not attract pests. Propagation: From seed. Please note: We are responsible sellers who make sure our buyers are well taken care of. 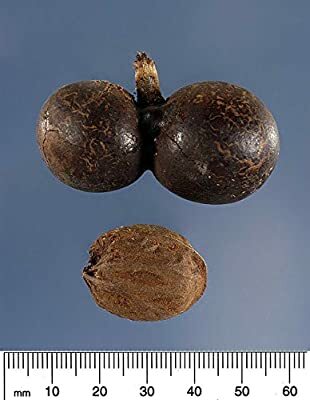 These seeds will be shipped within 2 business days after payment. 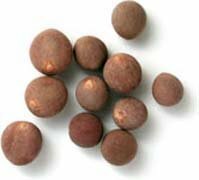 We are a seller that caters to experienced gardeners, or those that are capable of looking up instructions independently (germination and plant care information is readily available online, but if you can't find germinating and care instructions, please feel free to message us). We also include suggested growing instructions. Multiple orders of a single item will be combined. We are not responsible for buyer germination success, seeds have been tested and seedlings have been grown by us. No international shipping. 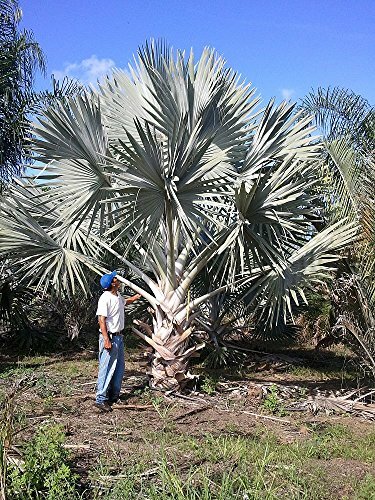 Easy to Grow Magnificant Beautiful Palm Tree Likes Full Sunshine Large, exotic, and rare palm tree One free seed with every order!